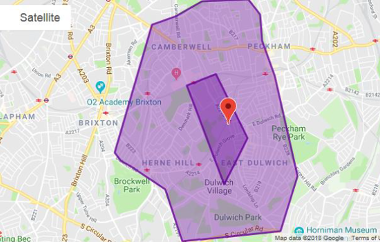 If you live within the the SE5 0, SE5 5, SE5 7, SE5 8, SE5 9, SE15 1, SE15 2, SE15 3, SE15 4, SE15 5, SE15 6, SE22 0, SE22 8, and SE22 9 postcode you can register with us today and we will contact you to arrange a full health check and introduce you to our team of doctors and nurses. You will need to attend the surgery between 9.30 and 6pm Monday to Friday 9am to 1pm Saturday and complete a registration form. Provide photographic identification ​in the form of a driving licence or passport will be requested. Proof of Address in the form of a Bank Statement, Council Tax Bill, Utility Bill will be requested. This process will take two working days to complete after which time you can arrange an appointment to see a clinician. The reception team will arrange a New Patient Health Check with our Health Care Assistant at your earliest convenience. This is a general routine examination, you will be asked to provide a urine sample (sample bottle supplied).